Egg freezing is the best option for those women who are not ready to be in the stage of pregnancy. Obviously, future planning always stands a vital part in each couple’s life and if the couple doesn’t want to be a parent but want to try to ensure the ability to conceive later on or to have a biological child in the future, they can opt for egg freezing Kolkata. Let’s gather proper information related egg freezing process Kolkata. The first step, which comes in Egg retrieval, is the fertility consultation and assessment. In the fertility consultation, the healthcare team of Select IVF gathers information about your health and fertility or if have any previous medical history. After the discussion, appointment will soon fixed up with the fertility experts to discuss about the plan, the procedure of egg freezing Kolkata. This is the first step of Egg Freezing Kolkata. Now, once the couple decides to go for Egg Freezing Kolkata the medications, entire schedule of the meeting, payment procedure and rest of the paperwork is initiated in order to start the cycle of Egg Freezing. At the starting level, hormone injections and fertility drugs are given to the female to produce multiple eggs instead of one egg (in a normal ovulation cycle). During this course of medication, the female patient has to come in the fertility clinic to have the monitoring test of the follicles. This check-up is done by transvaginal ultrasounds and blood tests. Once the follicles are matured enough for retrieval procedure, these follicular tissues are obtained with the help of a thin needle. As soon as the tissues have been retrieved from the female’s ovaries, from it multiple eggs are taken from the follicular tissue. It takes 15-20 minutes in the egg retrieval process; egg are obtained by the short surgical procedure in which pain medication is given to the female so that she won’t feel any kind of discomfort. A needle is passed through female’s vaginal wall in order to get the eggs. This course of medication is given for 8-15 days and the female has to visit Select IVF fertility clinic for 4-5 times during these medication timings. Here is this the story ends but now rest of work is supposed to perform by the clinic specialist. The role of the female patient ends here. There and then of egg retrieval process, the eggs are kept frozen in the state of the ART laboratory. The eggs are frozen by the technique of vitrification. Eggs are preserved for a long-term, in addition with it; this technique gives surety for survival of the eggs to near 100%. Experts and the senior specialist of Egg freezing Kolkata have complete experience in handling the entire procedure. Once you and your partner decide to give birth, these eggs are then used for further procedure as per the consent by the couple. Since we have read the entire step of Egg Freezing Kolkata, now we will get into the topic of Egg freezing cost Kolkata. 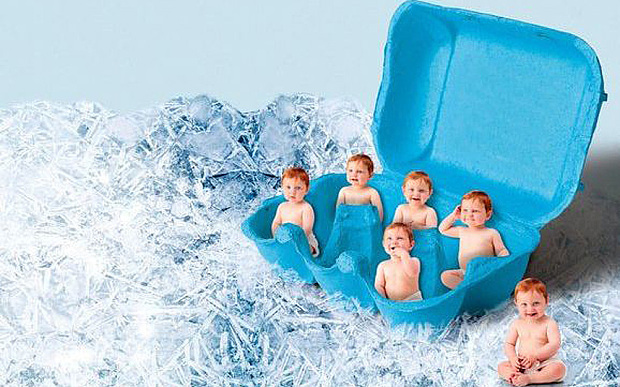 To be very frank, Egg Freezing Kolkata is offering you one of the most reasonable packages of egg freezing. Egg Freezing Cost Kolkata relies upon the duration of the preserving of the eggs in the Laboratory. The cost of egg freezing Kolkata is INR 1,75,000 (where 1,50,000 lakh is of the package of IVF course of medication (in which medications, fertility drugs, egg retrieval procedure is included and 25,000 is for six month duration of egg freezing). Egg Freezing clinic Kolkata is the one and only best clinic which easily achieves best results giving the couple full satisfaction in their journey of Egg freezing. All the advance medical technology and techniques are available in the egg freezing clinic Kolkata and that is the reason why this clinic always stands first in performing the best egg freezing procedure.